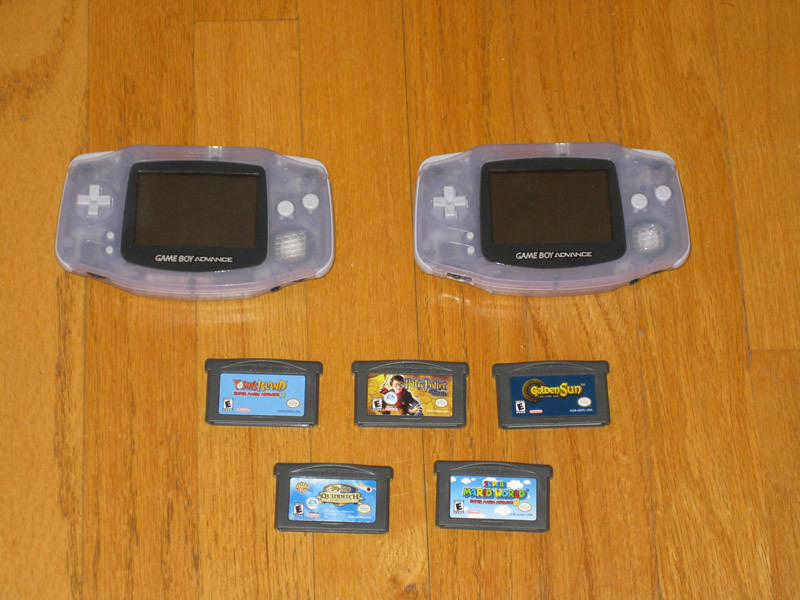 One of my coworkers, who knows that Dom and I collect video games, surprised me today with his kids' GBA's and games. They are grown and no longer play them, so rather than tossing them or letting them lie around unused, he gave them to me. That was very nice of him! Nice score! I've been a big fan of your blog and can't wait to see what yard sale season brings you guys this year. I do miss the entire posts displaying in the RSS feed though. Good luck!